Good morning and welcome to Women of Faith and Fiction. Today, I’m talking with Stacey Thureen. Stacey is a wife, mom, and author. She is also a sweet friend. Stacey, tell us a little about yourself. I desire to help women stay grounded in their faith, so that they can find stability on the seesaws of life. My writing includes contributions to Daily Wisdom for Women devotional collections published by Barbour Books. 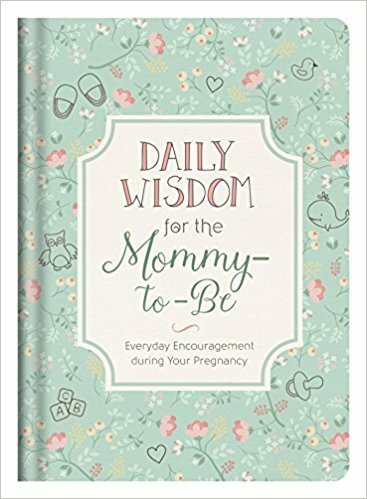 I’m the author of Daily Wisdom for the Mommy-to-Be devotional book also published by Barbour Books. When I’m not writing or speaking, I enjoy swimming and spending time with family. Readers, Stacey is a fantastic swimmer. Now, let’s talk about Stacey the writer. The inspiration for the devotionals I wrote in the Daily Wisdom for Women collections came from being regularly rooted in God’s word, His grace and mercy. The devotionals in Daily Wisdom for the Mommy-to-Be were inspired from my own pregnancy experiences, as well as conversations and interactions I’ve had with other moms and pregnant women. I’m able to brainstorm better, think more creatively, and worship God when I’m active. My favorite way to stay active is swimming laps at our local YMCA, going outside for a walk, or biking to a nearby park with family. This year’s theme is First Things First. Setting our priorities is a must if we’re to be about our Father’s business. What advice would you offer someone struggling to spend time with Him? And, how has spending time with Him changed your life? From the heart come the words, “Do you love me?” Knowing the heart of Jesus and loving him are the same thing. The knowledge of Jesus’ heart is a knowledge of the heart. And when we live in the world with that knowledge, we cannot do other than bring healing, reconciliation, new life, and hope wherever we go. The desire to be relevant and successful will gradually disappear, and our only desire will be to say with our whole being to our brothers and sisters of the human race, “You are loved. There is no reason to be afraid. In love God created your inmost self and knit you together in your mother’s womb” (see Psalm 139:13). If you’re looking for ways to deepen your faith and knowledge of the Word, I have found a daily Bible reading plan to be helpful. The YouVersion Bible App has several to choose from. Also check out the Daily Wisdom for Women devotional collections published by Barbour Books. These beautiful books consist of daily devotions and prayers that follow a yearlong Bible reading plan. Stacey, thank you so much for visiting with us today and sharing more about you and your writing. Hi, JPC! I confess I get distracted at times too. 🙂 Thanks for stopping by. How wonderful to have a book filling your mind with God’s word as you are growing a baby. Thanks for introducing us to Stacey, Gail. She’s got a great smile! I agree, when I get stuck in my story, jumping on my treadmill or the elliptical is a good way for me to get back on track. You’re welcome, Jill. Nothing like excercise to get the dendrites firing. 😄 Thank you for visiting and commenting. Thank you, Gail and Stacey, for this excellent interview! I enjoyed meeting Stacey, and look forward to reading her devotional Daily Wisdom for Women! I agree that we need to stay grounded in our faith, so that we can find stability. Love this: (with knowing Jesus and loving Him) “we cannot do other than bring healing, reconciliation, new life, and hope wherever we go”. Amen! May we be that sweet fragrance of Christ wherever we go! Thanks for visiting and commenting, Becky! Gail, thank you for inviting me to be a part of this. It’s an honor. I’m grateful to have a friend like you! Blessings! Stacey, I’m honored to call you friend. I’m so glad you agreed to do the interview. I enjoyed getting to know you better, sweet friend.